When two-year old Abdiel Soto wants to get his mom’s and dad’s attention, he can stomp his feet like nobody’s business. Of course, the dramatic foot-stomping is accompanied by some powerful and interesting “vocals” typical of any two-year old demanding attention. 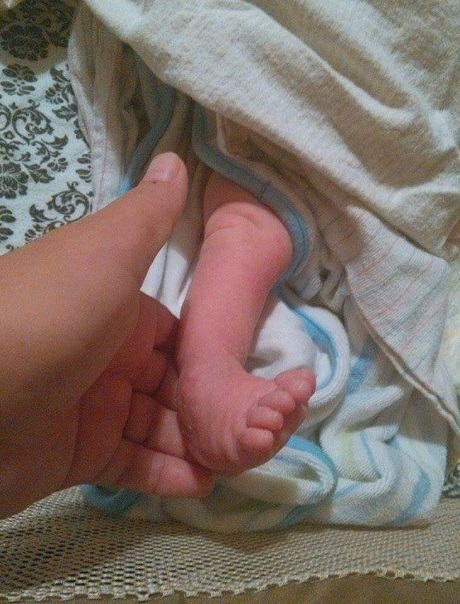 But when Abdiel was born on August 20, 2015 - and in the days, weeks and months that followed - it was anything but clear whether foot-stomping of any kind would be in his future. 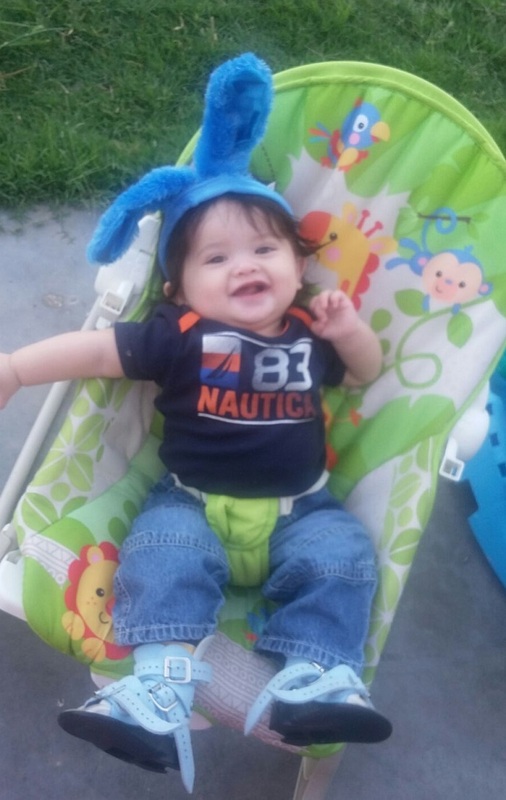 Abdiel was born with Talipes Equinovarus, a condition commonly known as clubfoot. A clubfoot malformation results in the foot turned in sharply so a person appears to be walking on his or her ankle. The condition can be corrected or improved for many. Treatment for clubfoot is typically a long journey that can involve a progression of corrective surgeries, a series of braces to accommodate surgical corrections and growth, and ongoing physical therapy. While treatment can be demanding and exhausting, you wouldn't know it by watching Abdiel today, in constant motion fueled by the ongoing energy typical of any child his age. 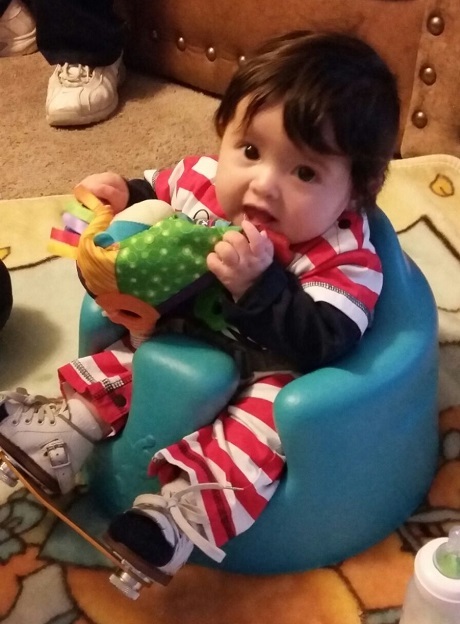 Another source of fuel for this happy, energetic little boy are his parents, Yanet and Oscar as well as the strong and steady support of his 16 year-old brother Aaron and 13 year-old sister, Azul. “He is a normal little kid,” says Oscar, proudly. “He loves playing on everything at the playground,” he added. There is no doubt how far Abdiel has progressed since birth, but the first days of his life brought many worries to his parents. In addition to knowing the challenges he would face with ongoing treatments, Yanet and Oscar were faced with daunting financial anxieties. Although Oscar was and remains steadily employed - and sometimes working two jobs to support the family - the Sotos were unable to afford to cost of insurance. They were looking down the barrel of owing potentially hundreds of thousands of dollars for the treatments Abdiel needed. “The stress and fear were horrible,” Yanet recalled as she and Oscar were waiting to see Dr. Melanie Violand, a volunteer podiatrist in the St. Vincent de Paul Medical Clinic. However, within minutes after the appointment began, their anxieties dissipated. Yanet remembers Dr. Violand putting her hand on Yanet’s shoulder and saying, “Don’t worry, he (Abdiel) will be OK, and you will not have to pay anything. “It was like two, hundred-pound bags were lifted off our shoulders,” said Oscar. Abdiel was just four days old when he received his first cast. Over his next eight weeks of life, he visited St. Vincent de Paul Medical Clinic regularly, receiving five more casts and a surgery. At that point, the clinic arranged for Abdiel to continue his care at Shriners for Children Medical Center in Pasadena, California. The plan also maintained free ongoing monitoring and regular check-ups with Dr. Violand at the St. Vincent de Paul Medical Clinic as well as physical therapy at another location. “If I could win the lottery I would donate a lot of money to St. Vincent de Paul and Shriners,” Oscar said. “They have done so much for Abdiel and us,” he added. In two-and-a-half years, Abdiel has progressed from having to wear braces on his feet from 24 hours a day to just at night. Yanet and Oscar can envision a day in a few years from now when he won’t need to wear the braces. They also can envision a day in the coming years people will not notice anything “different” about Abdiel’s walk. “He is our miracle,” Yanet says. “He is our energy that keeps us going,” said Oscar.